It’s been nigh-on eight years since we’ve seen a mainline entry in the Tekken series. That’s a considerable amount of time – especially in fighting game circles where everyone’s baying for blood, sparks, or whatever comes out of an opponent upon delivery of a swift hook to the chops. We’re seen the rise of the Injustice series, the steadied critical success of both Guilty Gear and Mortal Kombat, and the humbling debacle that was the release of Street Fighter V. And despite the glut of options to choose from, there’s no series that resonates quite as keenly with PlayStation owners as Tekken. Whether it be a dinosaur with flatulence, a boxing kangaroo, or a cyborg who can deflect missiles with his forearms, Tekken has always managed to marry a robust and complex fighting system with some increasingly eccentric trimmings and bizarre supplementary modes. So, in the face of all of this stiff competition, has Tekken 7 been able to rise to the occasion or has it mistimed a kick and fallen flat on its face? Thankfully, for the most part, it’s the former. Tantamount to that feeling of strolling into a family home that’s just received a new lick of paint, Tekken 7’s fundamental mechanics – the backbone of the series since its inception – are still intact but have been refined to within an inch of its life. Simply put, from a gameplay perspective, this is the most accomplished iteration in the series yet. 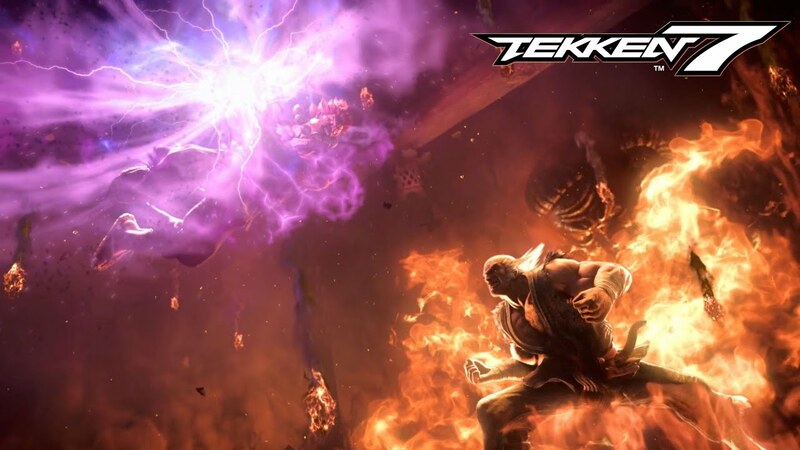 Taking the familiarity that’s seen Tekken endure over twenty years in the PlayStation mindshare but polishing it up to create a far more dynamic and cinematic experience, this entry fleshes out the tension inherent in a one-on-one bout more than ever before. That is to say, Tekken 7 is about moments: points in a battle where tension’s high, momentum’s swinging, an unfathomable block has been made – times where frenetic button presses and audible outbursts are commonplace in the heat of battle. Utilizing the ‘Rage’ system from Tekken Tag Tournament 2 but building upon it in a number of ways, the game’s been able to negotiate the divide between rookie and veteran players by providing a system that manages to create a far more engaging and well-rounded experience for everyone. For instance, the ‘Power Crush’ mechanism allows you to continue your combo even if you’re being hit. Of course, you’ll still incur damage but it won’t interrupt the flow of your attack. Additionally, ‘Rage Art’ is a nifty little feature that sort of acts like a last throw of the dice, so to speak. Once your health is beyond a particular threshold, you’ll be able to unleash a desperate attack that’ll do sizeable damage, thus expelling your Rage meter. Same goes for ‘Rage Drive’, albeit without the cinematic flare of the former. Crucially, these mechanics – coupled with a sprinkling of slow-motion – are balanced near-perfectly and never feel unfair even if you’ve on the receiving end of one as your opponent’s on their last legs. Additionally, it allows for more back and forth fights, thus injecting a level of unpredictability that gives Tekken 7 the edge over many of its peers. These features are particularly handy for rookies, too, though the absence of an actual tutorial mode does feel like a massive oversight on developer Bandai Namco’s part as learning the ropes of an accomplished fighting game such as Tekken can be a daunting prospect. That said, practice mode is still very much part of the package, allowing you to map move commands on-screen and practice to your heart’s content. And for returning fans and newcomers alike, it’s safe to say that Tekken 7 is quite a beautiful looking game, too. 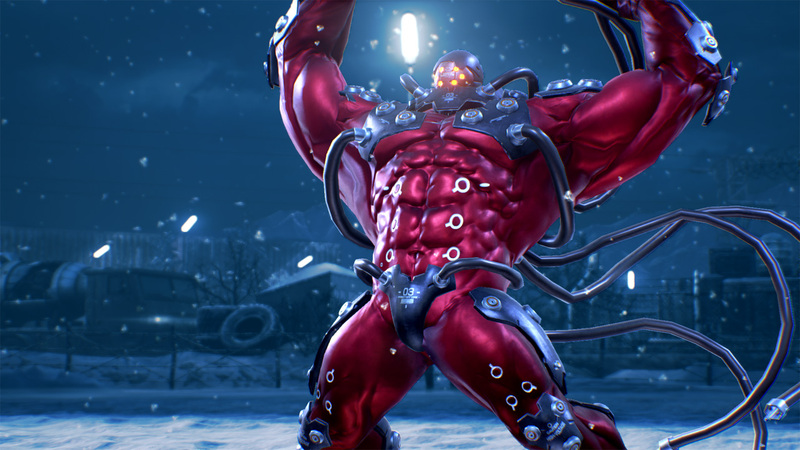 Powered by Unreal Engine 4 for the first time, Tekken 7’s lighting and dynamic weather effects stand out for the most praise, whilst the destructive environments add something to the spectacle. The game is at its best with rain pelting down upon fighters, as the choreographed procession of kicks and winding punches are punctuated with spurts of water being flung across the arena. At its worst, however, character models and environments – especially within story mode – look quite flat, void of the intricate detail seen in the likes of Injustice 2. Still, clocking in at 1080p/60fps on PS4 Pro with some added effects, it goes without saying that Paul Phoenix’s hi-top fade has never looked so pronounced. Those chasing the unbridled spectacle of a typical Tekken story mode should know that while Tekken 7’s story doesn’t hit the eclectic heights of Nina Williams’ character arch – insofar as being an explosive narrative revolving around an amnesia-ridden Irish assassin who was cryogenically frozen for fifteen years and impregnated through vitro-fertilization without her consent, giving birth to a British boxer named Steve Fox whom she was sent to kill by the mafia (and breathe!) – there’s just enough patented frivolity and, more importantly, player engagement to make it a worthwhile endeavour for fans of the series. In well-worn fashion, the Mishima family feud has hit boiling point, with Heihachi and Kazuya locking horns one final time whilst a reporter charts the clan’s history and the Mishima Zaibatsu’s place within the world as it is today. As you can expect, the mode’s cinematics are interspersed with various one-on-one battles and you’ll find yourself taking up arms as certain characters – Nina, Lee, and Alisa to name a few – who are either directly or tangentially related to the dealings within the Mishima Zaibatsu. While not exactly revelatory in its execution, Tekken 7’s ‘The Mishima Saga’ mode is an effective two-and-a-half hour offering that fundamentally serves to elevate the importance of those key interactions between both Heihachi and Kazuya and their storied history – and for that alone it’s successful. As a result, however, the Arcade Battle mode borders on being just about serviceable. Once you beat ‘The Mishima Saga’ you’ll unlock ‘Character Episodes’ – little vignettes that give some flavour text to contextualize each fighter, coupled with one character-specific battle and a short cinematic. These bite-sized offerings aim to give a wider understanding to what all the other characters not involved in the story mode have been up to, but with each lasting all of two minutes in total it all feels a little half-baked, especially given the fact that long-standing Tekken fans have particular favourites within the roster and to see them under-represented is a bit a shame. Not to mention that there’s some notable omissions, too, namely that of Lei Wulong, Ganryu, and Mokujin, regardless of the fact that there’s several newer characters on show. As it stands, the five-fight Arcade Battle – a once robust avenue for unlockable characters and quirky interactions – has had its prominence split between that of the aforementioned ‘Character Episodes’ and ‘Treasure Battle’. Speaking on the latter for a moment, Treasure Battle takes the form of a survival-type mode that sees you beating opponents to increase your ranking, earn treasure chests, and currency that can then be used to purchase cosmetic items (virtually everything is customisable – from attire to the flourish around your health bar), and other little trinkets, including the entire music/FMV catalogue of Tekken as a series in Gallery mode. And though it sounds like regular fodder for a fighting game, it’s actually rather addicting, helped in part by special matches and the introduction of random modifiers such as double damage and speed that keep proceedings feeling fresh and purposeful. Arcade mode and versus mode concessions aside – and indeed the longing for Gon or a supplementary mode like Tekken Bowl to make a reappearance – Tekken 7 is still a relatively feature-rich experience that also gives players a rather standard set of options within the online realm. Choosing between ranked, player or tournament mode, it’s clear that Bandai Namco’s focus beyond its downloadable content plans is to consistently drip-feed tournaments and special events to keep players’ engagement levels high. It’s a well-documented technique that’s seen the likes of Killer Instinct remain relevant despite its mileage and the idea of getting ahead in the tournament scene was reason enough for Capcom to release Street Fighter V in a state of disrepair. 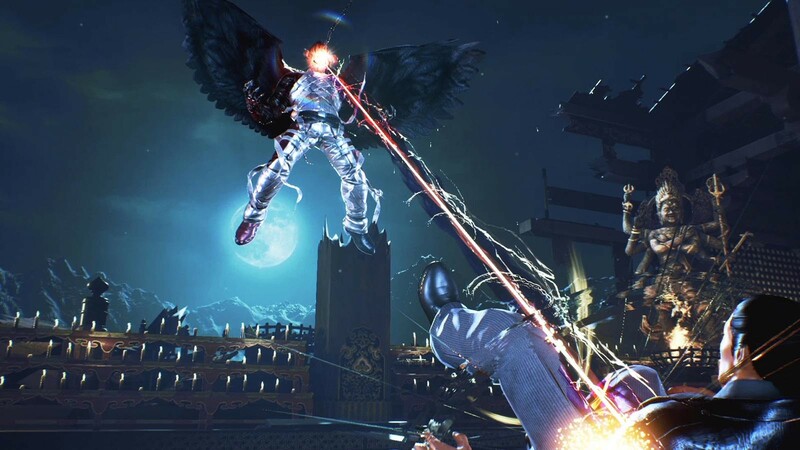 For Tekken 7, however, it’s just another ace in its pack – a compliment to an already attractive package that will undoubtedly please long-time fans and contains just enough for newcomers to get struck right into the mix, despite the learning curve. While there are some bizarre omissions – namely that of a tutorial mode, some age-old characters, and even team battle mode – Tekken 7 is a roaring success where it truly matters; in its mechanics, its dynamism, and its ability to engage the player through its concise presentation. Make no mistake, the King is back. Aside from some perplexing omissions, Tekken 7 is a roaring success where it truly matters; in its mechanics, its dynamism, and its ability to engage the player through its concise presentation. Make no mistake, the King is back.